The Copyright Act confers Copyright on literary, artistic and musical works, sound recordings, cinematograph films and broadcasts if they are of Nigerian origin. Other eligible works of foreign origin are protected under certain conditions as specified in the Act. The law does not require registeration but provides for both criminal and civil sanctions for infringement of Copyright. 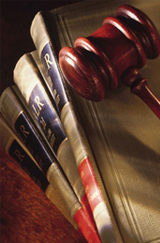 In many cases, imprisonment terms ranging between 2 and 5 years are prescribed. The most efficacious enforcement however is the infringement action where a successful plaintiff may obtain injunction restraining further infringement. Both criminal and civil actions may be commenced simulataneously at the Federal High Court.